The following news about Russian companies corrupting US sanctions on Iranian oil exports originate from the US Treasury Department and were launched by China's news network SINA 新浪网 on November 21, 2018. 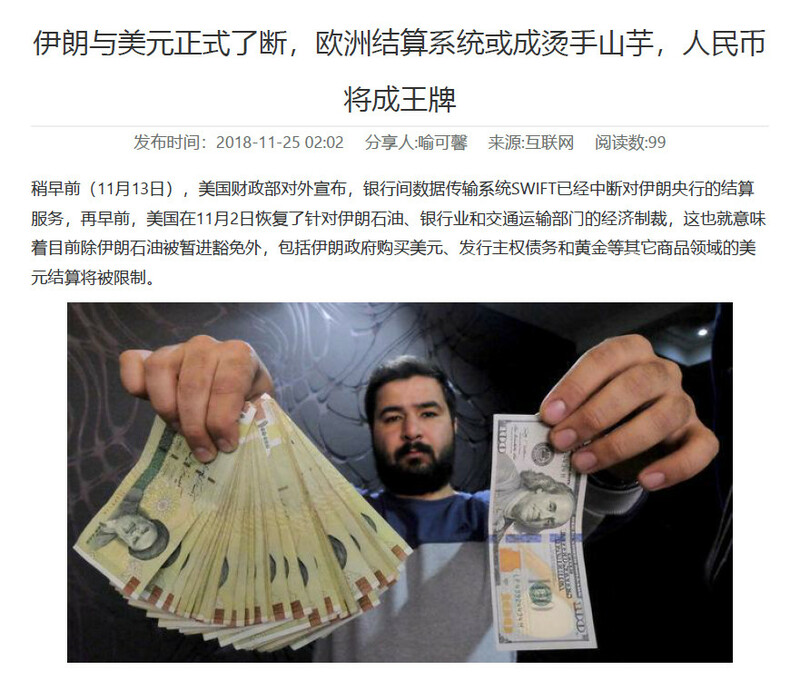 [The Chinese language article] is quoting Britain's "Financial Times" and which is referring to a declaration made by the US Treasury Department on November 20. The information names Iranian and Russian companies and persons involved, including the Iranian "Tadbir Kish" company and the deputy CEO of Russia's "Promsriereimport". The Russian side did not react on the subject up to now. Since 2014 Syrian citizen Mohammed Amer ash-Shviki sent US sanctioned Iranian oil via Russia's "Global Vision Group" first to Russia and later to Syria, all with the participation of Iran's Central Bank, the Iranian National Oil Company and Russia's "Promsriereimpor". Payments from Syria's government are transferred to organizations like Iran's Revolutionary Guards, Lebanon's Hezbollah and [the Palestinian] Hamas. the "hot potato" Renminbi (China Yuan), the "Trump Card". Last Update loaded on late November 9. Democrats won over the House with a remarkable majority but lost further seats in the Senate to the Republicans instead of winning. Such results underline how deeply divided the United States are at present. As expected, Donald Trump declared a "tremendous success", supposedly referring to the effect of his personal support for Republican candidates during the competition. An astonishing aspect of the 2018 midterms is the fact that so many educated women prevailed in the elections. Furthermore the midterms brought about many fresh personalities who challenged the Republican establishment, only to mention the Democrat Beto O'Rourke who closely lost against the Republican Senator Ted Cruz. O'Rourke, the Democratic newcomer in Republican Texas, made a really good job against his well-known opponent. 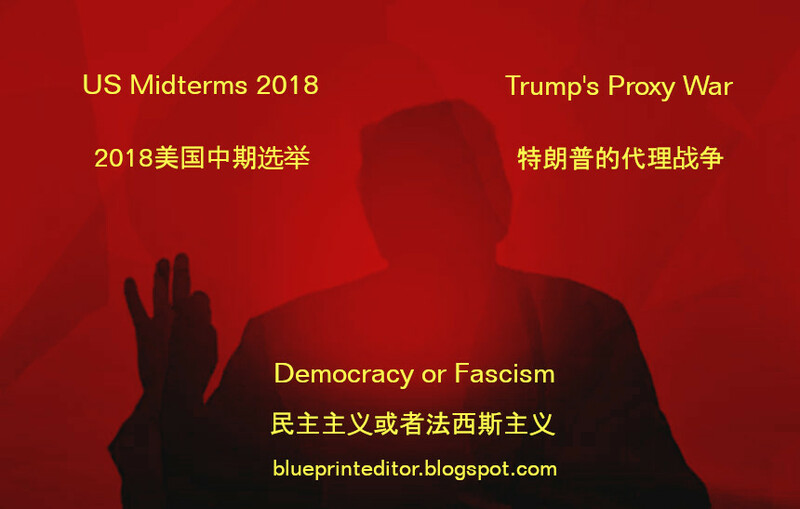 Even though the Senate has fallen to the Republicans, the signals are set for a change because the Democratic majority in the House enables control of new law projects and government financing and, what is more important, the ability to start public investigations into supposed misbehaviour of Trump, his financial background which is up to now unclear, or Trump's immigration politics. "A Disturbance in the Force of the Dark Side"
The above quoted top tweet of mine has remarks from Donald Trump and ex-President Obama. While Trump acknowledged that the House of Representatives might go to the Democrats, Obama expressed his wish that all voters (whatever their political inclination might be) should take to the poll stations. 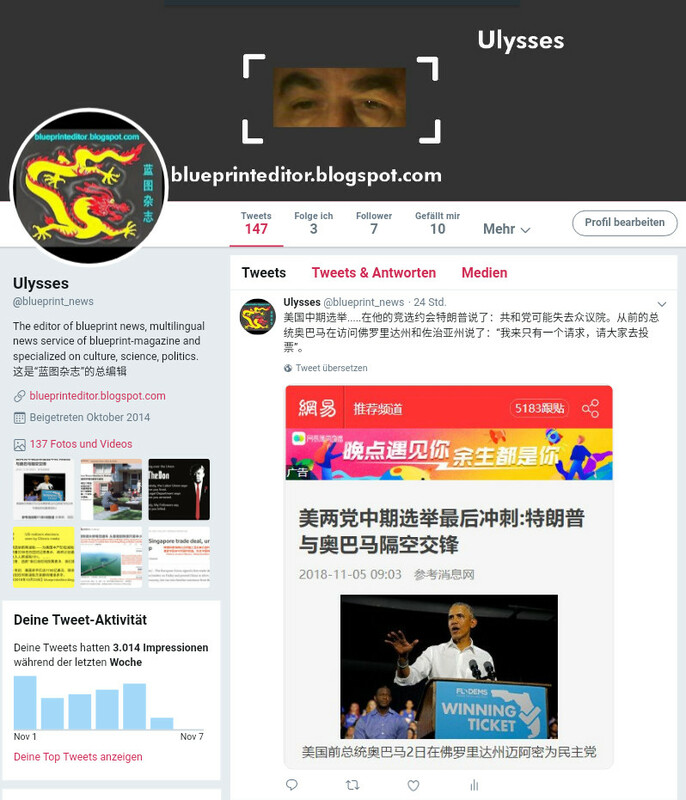 This most recent tweet, published in the Chinese language on November 5, reached more than 500 separate views within 24 hours and triggered about 3.5 % of media interaction. 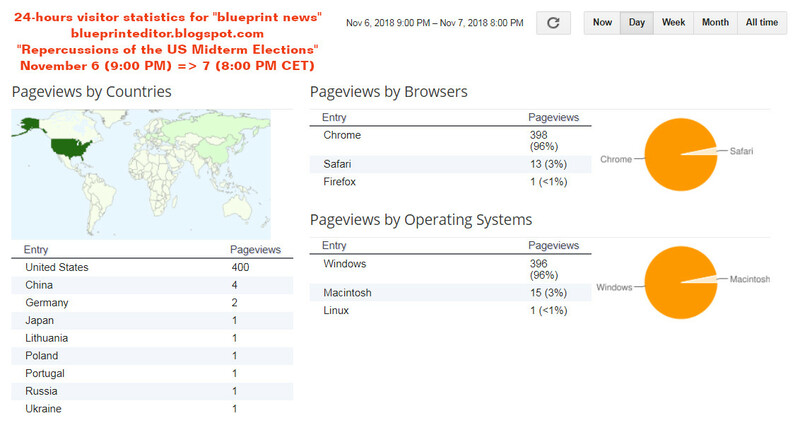 Statistics being still on the rise, the number of views even reached about 730 (4% interaction) in the evening of November 7. And there is evidence of further increase. 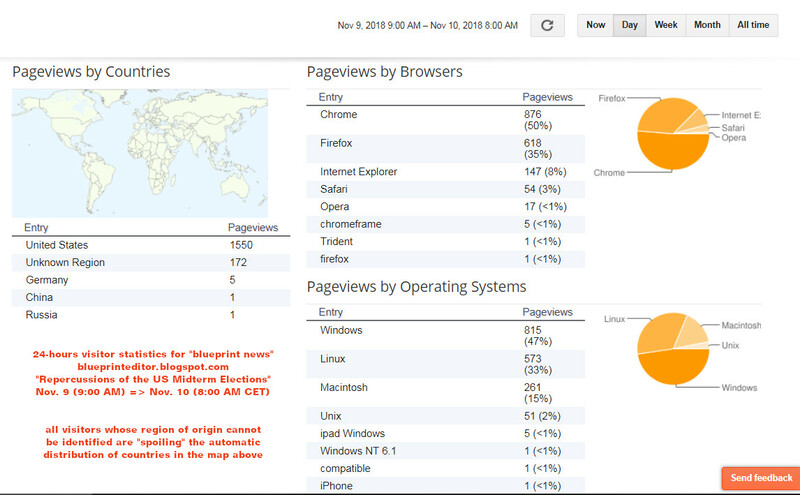 which is adding to some 170 visitors whose origin remained unidentified.